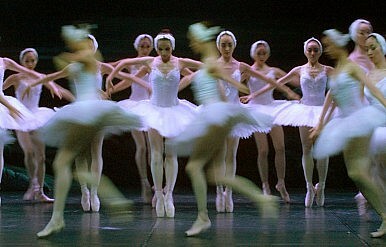 The Shanghai Ballet: A Model for Chinese Cultural Diplomacy? A successful U.K. debut may have some useful lessons for Beijing. Given the concerns and suspicions that China’s economic and military ascendancy is causing in many Western countries, such warm words are a welcome—and much needed—attempt to improve perceptions of China among foreign publics. Indeed, as shown by the Pew Research Global Attitudes Project, China tends to be regarded negatively in many European and North American societies, with the lowest ratings received in Italy, Germany, the Czech Republic and the United States. As Joshua Cooper Ramo put it in 2007, “China’s greatest strategic threat today is its national image.” To what extent could the Shanghai Ballet’s visit to London serve as a model for Chinese “cultural diplomacy,” aimed at improving attitudes toward China in Western societies? Concepts such as public diplomacy, cultural diplomacy and soft power now figure prominently on the Chinese government’s agenda. For example, at the 17th National Congress of the Communist Party of China, then Chinese president Hu Jintao stressed the need to promote the attractiveness of Chinese culture as a way of enhancing the country’s “soft power.” The China Public Diplomacy Association was founded in Beijing on December 31, 2012. Peng Liyuan, wife of the current President Xi Jinping, has received growing attention as adding a soft touch for China thanks to her role in public diplomacy during presidential visits abroad. As concerns over China’s economic and military power mount in some parts of the world, the Chinese government is thus showing greater awareness of the importance of communicating with foreign publics. To promote a more favorable image of China in the world and facilitate the country’s “peaceful development,” the Chinese leadership seems to have relied on three main strategies. First, it has been active in releasing White Papers to make Chinese policy more transparent and easier to understand for English-speaking audiences. To date, such papers have covered a broad range of topics, including energy policy, climate change, human rights, the rule of law, foreign trade, national defense, arms control and disarmament, space activities and foreign aid. Second, China is encouraging the establishment of Confucius Institutes on university campuses all over the world to further the study of Chinese language and culture. Since the creation of the first Confucius Institute in Seoul in 2004, the total number of institutes worldwide has risen considerably. At present, there are 324 Confucius Institutes in countries and regions across the world – more than twice as many as the German Goethe Institut and more than four times the number of the Spanish Instituto Cervantes. Third, China recently hosted cultural mega-events such as the 2008 Beijing Olympic Games and the 2010 Shanghai World Expo. Both events were major platforms for the Chinese government to showcase the country’s achievements and provided opportunities to increase its international recognition and status.